In Roy’s opening remarks, he mentioned “getting more than he gave,” which is a tremendous statement from one of the founders that has been a huge advocate for the compliance profession, both in the U.S. and internationally, for greater than two decades. I have talked to others that have dedicated their time contributing to the profession and the association; the sentiments are the same. They have received more from the profession and association than what they have put in. What does this mean? It’s one of those statements that means so much more than what is said. I bet there can be a book written on this one statement alone. It’s an authentic statement from a leader. It demonstrates humility of a leader that has given without a thought. To provide examples of this statement detracts from priceless value. 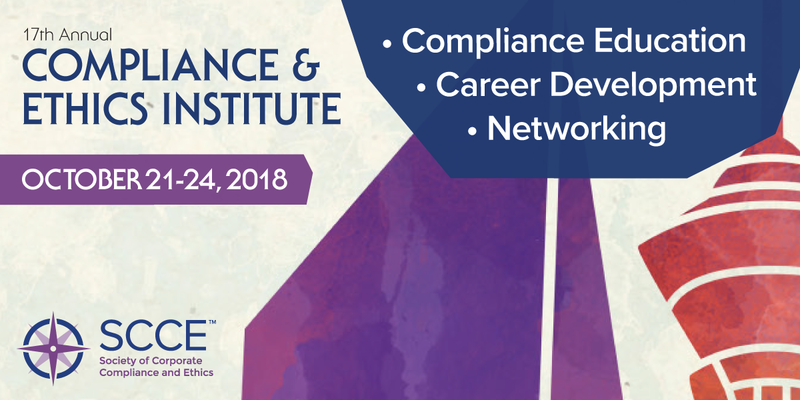 Priceless is the experience of being in one place surrounded by close to 2000 compliance and ethics professionals who are committed to the same mission and open about sharing their experiences, ideas, and resources to assist peers to achieve results. At more than one point in a compliance professional’s career, SCCE has been there and will continue to be there as a conduit to help compliance professionals in their first compliance role with its publications, help negotiate their salary with the annual salary survey, pursue a new opportunity with the job board, share their ideas with online community, demonstrate their knowledge and experience with a certification, reenergize a burned-out professional and yes, in many cases create lifelong friends. At some point, the time goes by and one realizes the need to contribute so that new compliance professionals and/or members have a similar or better experience. SCCE, thank you for the experience and I am here to stay to ensure that others have the same experience. WJ…always good to see you either in person or virtually. I’m sure that people have other quotes or reflections that they can think of along these lines. One thing about giving is that we never know just how impactful our giving is in the end. Whether we give to a person, to a community, or other entity, that bit that we give could ultimately be what was the tipping point that resulted in action where without the giving there would have been nothing.